Let’s find more uses of 5 gallon buckets. We think the garage is a great place where the pails could be used a lot. Fill a 5 gallon pail with some soap and water, and wash your car, bicycle, etc. on a beautiful Sunday morning. Don’t leave the long coiled hose lying around everywhere or hung to dust. Just stack it inside a 5 gallon bucket and close the lid. It will stay clean and organized there. Put it in the corner of the garage and use it as a garbage can. Store the tools based on their uses. Paint tools in one pail, car tools on the other, etc. Soap, baking soda, spray bottles, rubber gloves, fresh sponges, brushes, microfiber clothes, etc. go to one bucket. Simply take the bucket with you when you do your cleaning chores, and return it to the garage when you are done. You see how versatile 5 gallon buckets are ? 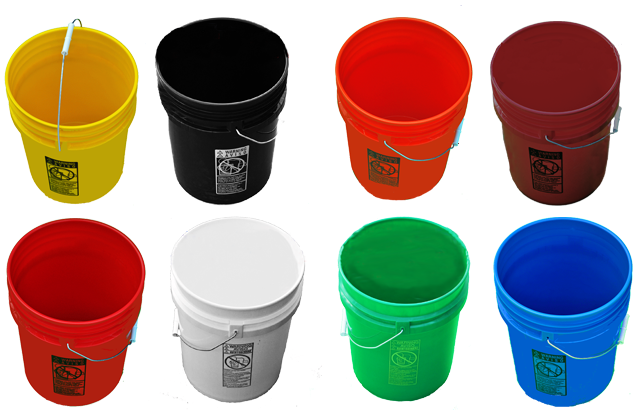 At home, at the office, in the garden, at the outdoor camp site or wherever it is, the buckets can always be useful. Don’t throw them away as soon as you’re done with them. Reuse them for those purposes for a better maintained house and life. Dozens upon dozens more ideas for 5 gallon bucket usage at the linked website!